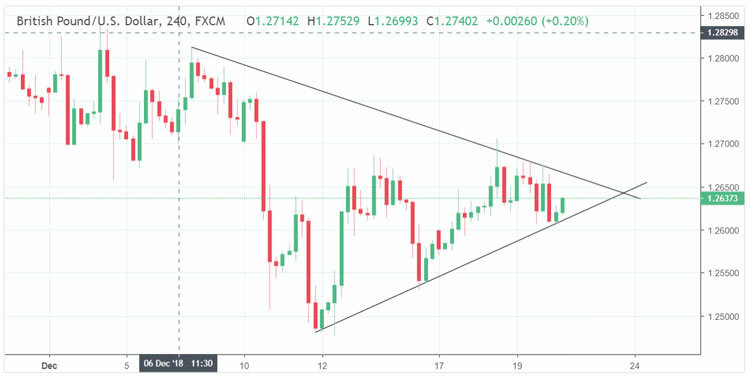 Forex technical analysis: One of the greatest goals of technical traders in the fx market is to determine whether a given pair will trend in a certain direction, or if it will travel sideways and remain range-bound. There are many large players in the Forex market, such as hedge funds and large banks, that all have advanced computer systems to constantly monitor any inconsistencies between the different currency pairs. The most common method to determine these characteristics is to draw trend lines that connect historical levels that have prevented a rate from heading higher or lower. Technical Analysis and Forex tips 4 Feb 2016 that covers latest market news and daily shares trading signals from experts of the field. Take after the day by day specialized investigations to get an edge in trading in forex. Our preference for long positions above 1.1115 with targets at 1.124 & 1.131 in extension. Alternative scenario is below 1.1115 look for further downside with 1.107 & 1.1 as targets. Technical Analysis and Forex tips 13 Jan 2016 that covers latest market news and daily shares trading signals from experts of the field. Our preference for short positions below 1.0905 with targets at 1.077 & 1.0735 in extension. Alternative scenario is above 1.0905 look for further upside with 1.0945 & 1.097 as targets. PipSpread global research team provides the latest forex market research & helps you to stay on top of the breaking financial news & currency market updates. Our preference for short positions below 1.0805 with targets at 1.0715 & 1.069 in extension. Alternative scenario is above 1.0805 look for further upside with 1.0845 & 1.0865 as targets. Explore daily forex research, the powerful analysis and trade ideas solution that will help you improve your results. Read real time technical analysis overview and Forex signals for the major currency pairs. Our preference for short positions below 1.096 with targets at 1.09 & 1.0865 in extension. Alternative scenario is above 1.096 look for further upside with 1.099 & 1.101 as targets. Our preference for long positions above 1.0925 with targets at 1.101 & 1.103 in extension.below 1.0925 look for further downside with 1.09 & 1.0865 as targets. Our preference for short positions below 1.096 with targets at 1.088 & 1.0845 in extension. Alternative scenario is above 1.096 look for further upside with 1.098 & 1.101 as targets.